You probably have two or three of them floating in your drawers right now… Fairly good condition, nice and fluffy, the perfect fit around your foot. That’s right, I’m talkin’ orphaned socks. You hold on to them in hopes that the match will turn up, but it never does so you end up with a drawer full of unpaired socks. But those days are over! 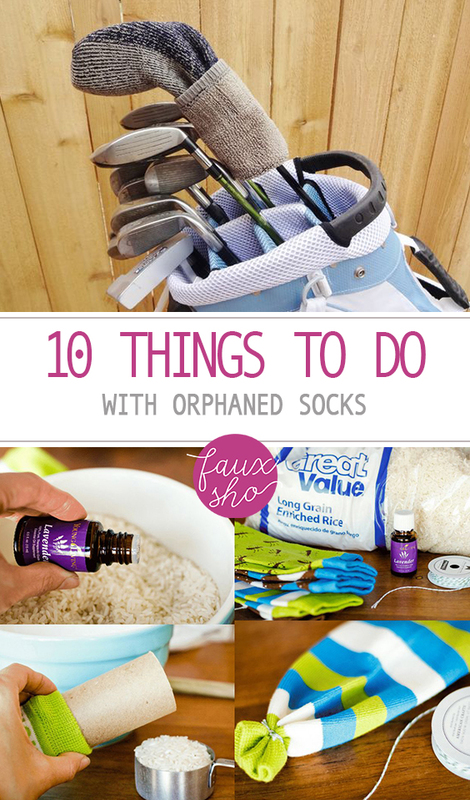 Read on for 10 things to do with orphaned socks. Use unpaired socks to protect your golf club heads from dings and scratches. Never lose small game pieces again! Just keep them safe inside a sock. Tie the end off to ensure the pieces won’t fall out. Fit a sock around your hand to make the perfect car detailing companion. Use it to clean, dry, or polish. 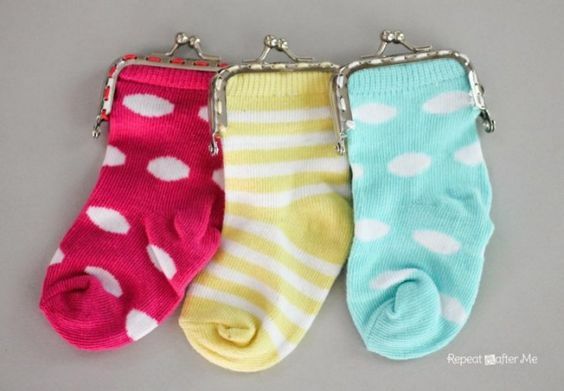 Fido will love this idea for your unpaired socks! Simply tie them in knots, with or without stuffing, to make sturdy dog toys. Tug-of-war has never been so much fun! Fill a single sock with oil-infused rice to create a soothing hot pad. Tie or stitch off the loose end to prevent spillage. To warm the pad, you need only to heat the pad in the microwave. 1-3 minutes will do. Place a separate cup of water in the microwave as well to help keep the rice from scorching. This plush toy project for loose socks is quite the hoot! Make adorable stuffed animal owls for your little ones. 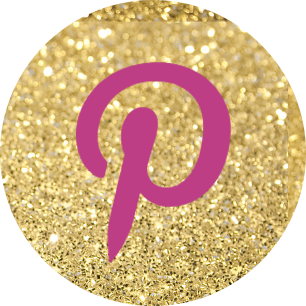 You can find all your sewing and craft supplies at great prices from Fabric.com. Socks are ideal as ready-to-go pockets or pouches! Now be extra sure to keep coins and other small items inside the sock by topping it off with a purse clutch frame. I use sock purses when I travel and during moves to protect and keep track of my precious valuables. Donut say you don’t need a new pin cushion! 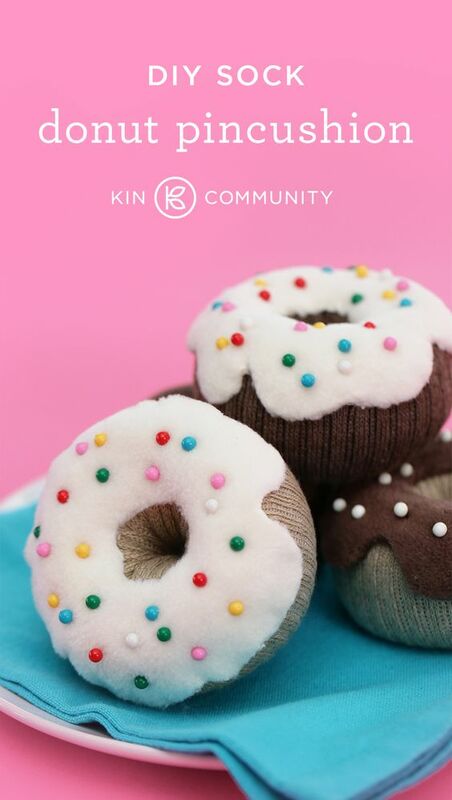 This donut pin cushion project is just too much fun to pass up. The pin heads are the perfect sprinkles. 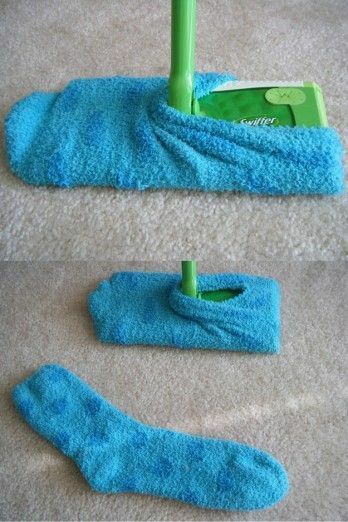 No need to buy new Swiffer pads when you can use a loose sock instead. Not only is a sock sturdier for deeper cleaning, but it can also be washed and reused! 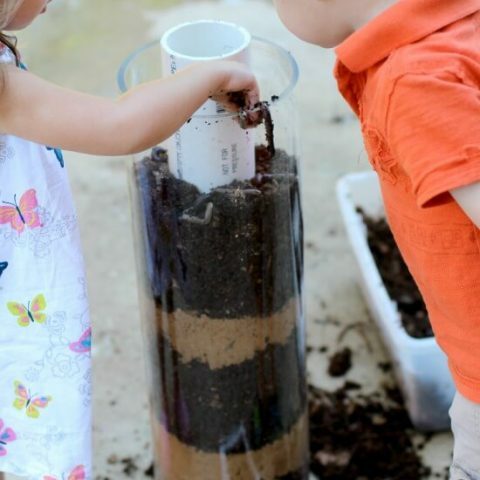 Do away with all the harmful chemicals from dryer sheets and make your own organic dryer balls instead. Just roll a lone sock into a ball and drop a bit of essential oils on the sock. That’s it! When your kids get to the point that they have more unmatched socks than matched, check out Crazy 8 for a huge variety of adorable socks. You can often find them on sale for under $3. No joke!